Aaron: I really liked this one! Berry nose with chocolaty tobacco and a generally icy nose. The flavor was also a bit “cold” but featured a juicy, full body. Mild with a bit of cinnamon pepper, and overloaded with blackberry, I could drink gallons of this! 92 points. Teri: Great smell of oaky red cherries on the nose with this wine. My favorite part of this Zinfandel is the delicate balance of the bright red fruits of raspberries and strawberries with noticeable but not overpowering oak. A medium/long finish with firm but smooth tannins makes this wine full but easy to drink and enjoy. I would have a glass of this by itself, or enjoy it with steak, cheese appetizers, and Chinese food. 90 points on first pour into the glass and it continues to open up in flavor as it decants further. 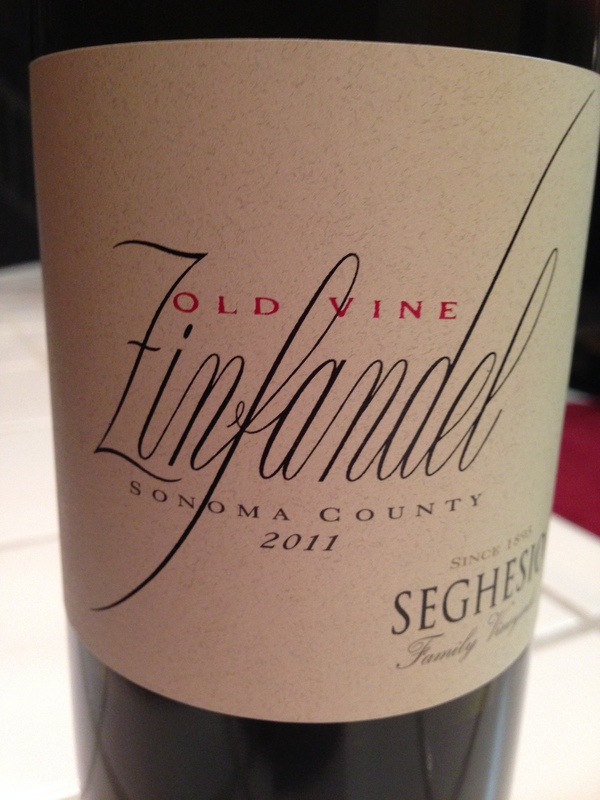 This entry was posted in 90+ points, Impress a Snob and tagged Red, Sonoma, Zinfandel by aaronandteri. Bookmark the permalink.